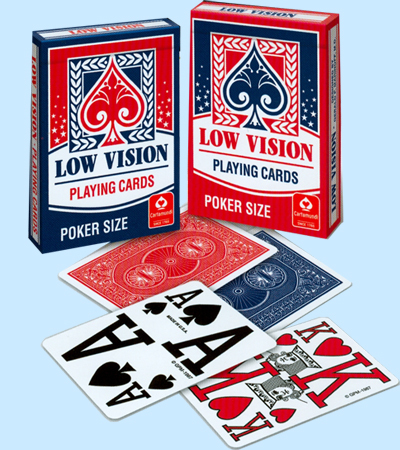 Cartamundi Low Vision Playing Cards: Low Vision Playing Cards with Extra Large Numbers and Pips! Catamundi Low Vision Playing Cards come in Red/Blue sets. The Playing Cards feature over-sized number and pips for easy viewing.